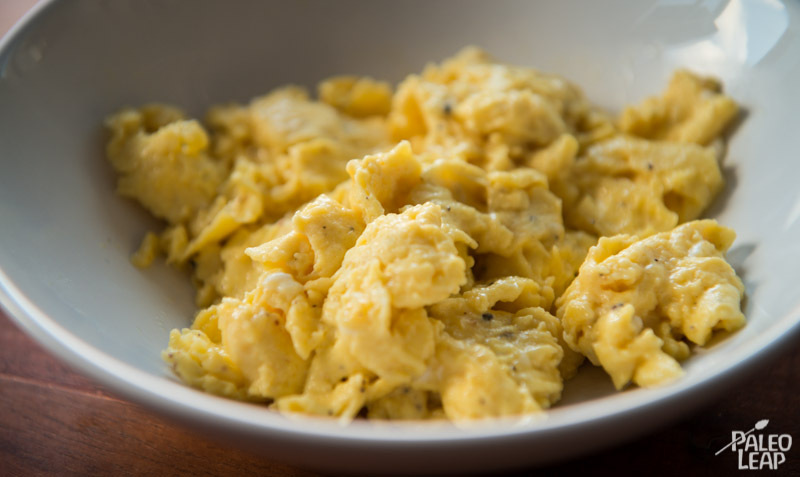 Something as simple as cooking scrambled eggs might seem like a trivial task, but the devil is in the details and a few key points can make the difference between boring old scrambled eggs or a great, fluffy and delicious breakfast that will make people ask for seconds. It’s of course important to choose good quality pastured eggs coming from naturally fed chickens. 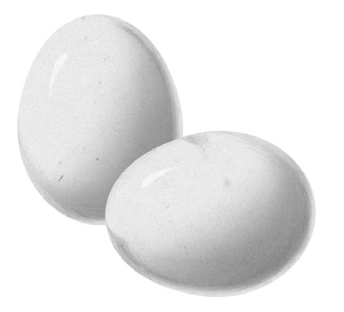 The difference won’t be only in the nutrition of the eggs, but also in the taste. The yolk of good quality eggs will have a much brighter and rich yellow color. Keep in mind that there are many ways to prepare scrambled eggs, so feel free to continue using your good old technique if it works for you. For a good and filling meal, three eggs per person is usually enough. For great scrambled eggs, start with cold eggs and crack them open in a bowl. For really creamy eggs, you can add about 1 tbsp heavy cream per egg and for a fluffier result you can add 1 tbsp water instead. Of course, you can also leave them alone without any water or cream. Just before adding the egg mixture to the hot pan, roughly whisk the mixture with a fork and season it to taste with sea salt and freshly ground black pepper. It’s important not to whisk it too much and to leave some texture to the eggs. A pinch of freshly grated nutmeg added at this point is also a nice addition. Another important point that isn’t taken into consideration by most scrambled egg recipes is for the end result to be as healthy as possible. Most recipes will call for the use of a non-stick frying pan to cook the eggs, but it has been known for a long time now that non-stick coatings can leach toxic chemicals in the food being prepared. Two great options for cooking eggs, scrambled or not, are stainless steel and cast iron pans. Not many people cook eggs in stainless steel pans today because without the proper technique the eggs will stick to the pan like there is no tomorrow. There is, however, a simple technique, that, once mastered, will allow you to cook anything without having any food sticking to the pan. In short, you need to bring your pan to just the right temperature before adding some cold or room temperature cooking fat and the egg mixture. The cold oil and food in the hot pan will create a reaction where the food doesn’t stick at all. That reaction is called the Van der Waals force. Like with any healthy Paleo cooking, the choice of fat or oil to cook with it really important. A highly saturated, heat resistant cooking fat or oil is what you’ll be looking for. Butter is a delicious choice often used in traditional French cuisine with eggs, but the milk solids in butter can burn rather easily. A better option would be to go with clarified butter, but beef tallow and coconut oil are also great choices. Keep in mind that coconut oil often has a slight coconut taste that not everybody likes with eggs. 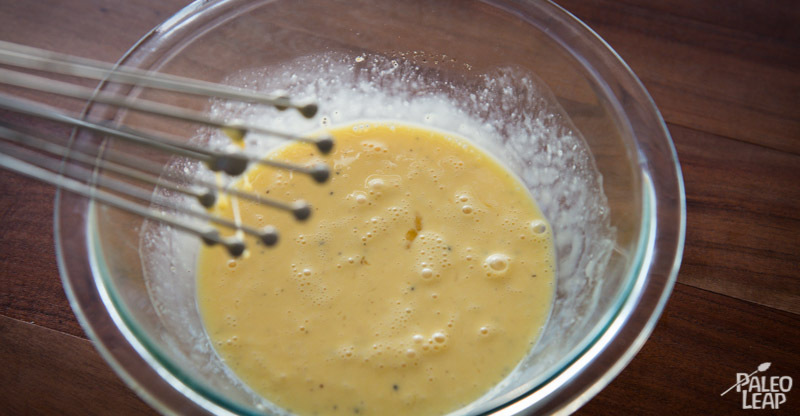 Once the egg mixture is in the hot pan, leave it alone for about 10 seconds so it can start to set. After that, use a wooden spoon to gently stir the eggs in order to form curdles and scramble the eggs. You can add some chopped fresh herbs when the eggs are almost cooked, but still runny. Scrambled eggs are usually delicious on their own, lightly seasoned with some sea salt and black pepper, but it’s always possible to add to them with more flavors. Chives, chopped finely and added near the end of the cooking process, are absolutely delicious with scrambled eggs. You can also add other fresh herbs like parsley, basil or dill, depending on your own preferences and what you have available. Red pepper flakes can also be added if more heat is desired. The scrambled eggs are ready when the eggs are just cooked or somewhat still runny. They will continue cooking for a few seconds once you remove them from the heat and dry eggs is the last thing you want. Serve the eggs right away while they are nice and hot. Roasted tomatoes and crispy bacon go alongside scrambled eggs perfectly. Homemade salsa is another good option.